Mod: I received all of this last week. Sierra Madre resident Gary Hood has been working on some very imaginative ideas for the Library that I believe are pretty exciting, and need to be carefully considered. Especially now that the community has spoken and the notion of moving the Library poolside has been rejected. Rather than just selling the back lot and using that money to patch the old building up, why not take advantage of some of the resources that are available for libraries and can be used to do something incredible? Why automatically accept the unfortunate limitations that were built into the survey postcard process? 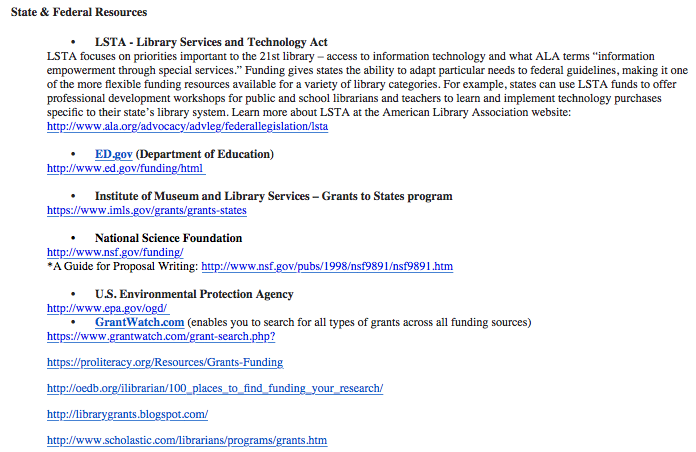 As Gary shows, charitable resources for libraries are plentiful, and if asked some could actually kick in. A lot. Plus there are intellectual resources available as well. Why not give some of these a try first? It never does hurt to ask. What is the worst that could possibly happen, they'll say no? The following information stems from my attending the Library meeting at the YAC. My interest was in having at least two, preferably three bids so that the city could compare prices and performances. I had a better understanding of the situation after hearing what all the comments were from those in attendance and finding out that there were no plans for bidding because that was too expensive at this stage of the process. When you look at #10 you are looking at a sign in front of the Library that shows they are educating in the most recent technology. The Library and the community should have a building that reflects what they are teaching. The list on the next page can be a guide for an Architect in the competition for designing something unique and imaginative. Huntington Library #5 is a good example of what a Library can provide. 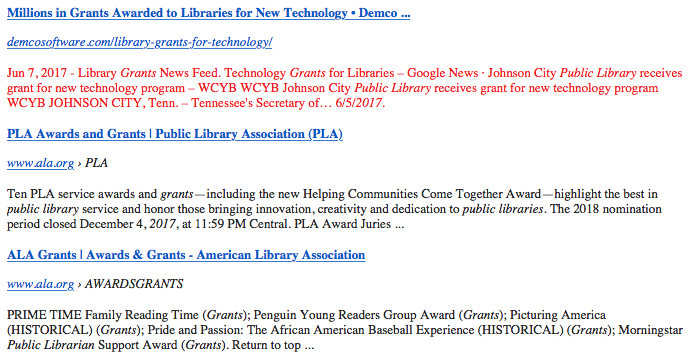 As of 2-12-18 #6 shows there is grant money available today, specifically for Libraries installing a Solar system. When you take into account that using Geothermal #12 and #9, Solar Heating, the overall long term costs are recoverable. #1 by Calif Department of Water Resources covers Grants and Loans for Recycling, Desalination, Stormwater and Gray-water. This should be a consideration in a New Library design and other buildings in the City. A Library with a Digitizing room #3 could be a real asset to community and the City. Think of a Library where you could go sit in a Virtual Reality Room and experience the Desert, a Forest or the beach. Think of what it would be like for a study group to walk into such a room where the look and feel were the same as being there. This is not futuristic dreams, this is all possible today. Think of a proposal to Samsung, Sony, LG or RCA to help build such Library rooms. The possibilities could get people and organizations interested and involved. 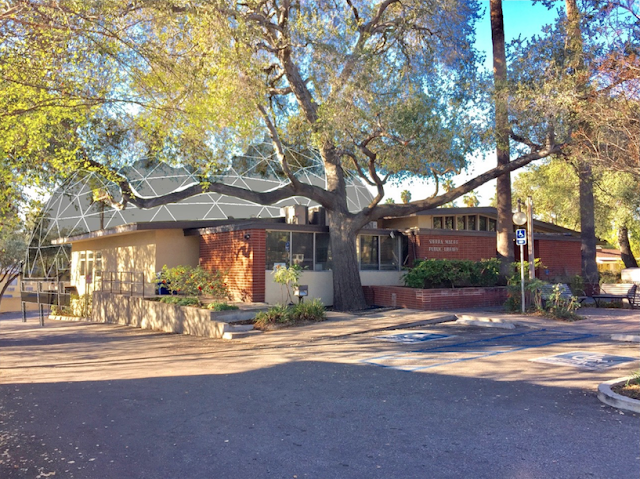 Sierra Madre sits in the heart of Caltech, JPL, Hollywood and many advanced technologically advanced schools. We are lucky to have such talented residents that I’m sure would love to be involved with such a Modern Library Design. With a good design that takes advantage of the latest that technology has to offer I think we would be surprised at the contributions and donations. Thank you for the opportunity to present this. Mod: This could end up being a lot more than just building a couple of cement ramps. Remember this, politicians will always take the easy way out of a problem they are confronted with or ones that are presented by sly individuals that have a alternate agenda in mind? Like power grabs or secondary political contacts with large political donners, take your pick and see which ones are being used by the current Sierra Madre city council and city staff members? Our City Staff are life-long members of the "Flat-Earth Society" and "If It Wasn't Invented Here Brotherhood of Small Thinkers." They are not interested in new ideas that may require WORK. That may have been true at one time. I think things have changed somewhat in the last year or so. Let's make this a test case. Thank you Gary. 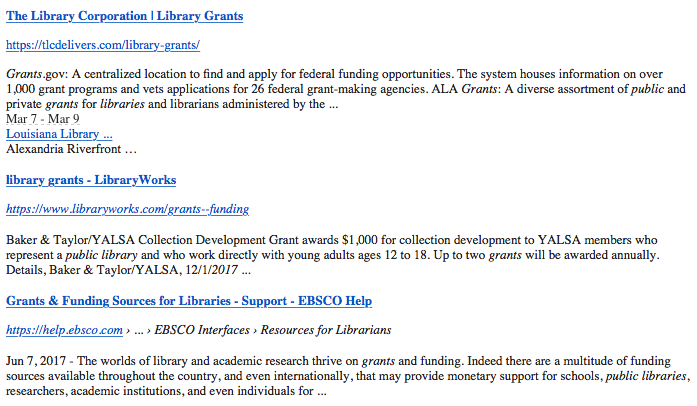 During the recent survey process the kinds of innovations that were discussed for "Library in a YAC" were never really considered for the community's traditional library. Which is now here to stay. Hopefully that conversation will begin. Yes. That was the subliminal message I think. In order to get new and innovative things for the Library, it had to me moved. Not true. I like the way you think Gary. GH posting,,,, 6:36 your most likely right. I for one have an alternate agenda. My agenda is getting the people together to study this opportunity. Our city staff work hard and yes they might take the easy way and that's probably the reason we pay for research. I hope that we can offer the city choices that wont raise our taxes and give us a state of the art Library. Thank you Mr. Hood for your time and energy! Outside of looking cool, what would a geodesic dome do for the Library? GH here,,, I think with the present City Council and our recent new city manager our city is better off than we have been in long time. As a community we are getting safer and with less debt, we can thank CC and manager Engeland for that. . With that said our community can have some fun with everyone getting together designing and building the best Library we can. Slap some lipstick in it and call it a day. Just bring the Library ADA current. The building design is iconic, don't change a thing. We applaud Gary Hood for his time and creative thinking. Technology mentioned has been available for decades, the costs are astronomical, not spoofing Jet Propulsion Laboratory. Virtual reality headset should stay in homes until such a time Shakespeare is available. Books have a wonderful quality that cannot be replaced, the touch, the smell, the awakening of the mind. I think the point is a lot of this can be had for free. GH,,,, 7:52 a geodesic dome is Energy Efficient and Cost Effective. Another advantage of geodesic dome greenhouses is their energy efficiency. A building's heat loss is directly proportionate to the surface area of the building. The dome shape has 30-40 per cent less surface area for the floor space enclosed than a rectangular shape. Less debt? The water rate is going up again and the water in town remains Brown in many areas and very few trust what is coming out of the faucets to drink. The costs of repairs need to go out to bid for the Library the design is fine. Water rates are going up for buildings with 3" and 4" meters. There are nine of those in Sierra Madre. For all those other buildings this will be a rate cut. There is a great Gosdesic Dome home in Pasadena, off of South Los Robles near Blair High School, built in the 60's. Is the Library one of those nine buildings with a 3"and 4" meter? I'm not sure the Library uses that much water. City meters are mostly 2" or smaller, but we likely have multiple sized meters, including larger sized ones, for different applications. Didn't Huell Howser live in a geothermal energy home in the desert? He donated the house to Chapman University upon his death. Mommy and me rhyme time could be held in the new green space park created behind the library. 8:20 am from the high volume numbers of patrons that use the library, according to their tracking of people coming and going, the Water usage must be very high. Are city buildings charged by the city for water? Yes, city buildings, parks, etc. are charged for water. If city buildings are not charged for water use then our family will be changing the destination of water closets as a cost saving measure. Some of the reasoning behind paying such high salaries to the librian(s) was the housing and archive of city records. Is this still the case? GH,,, California Department of Water Resources is offering grants and loans for recycling, desalination, storm water and gray water collection. With today's technology the Library could generate it's own water and may use little if any city water. Reconfiguring the side office area for ADA restrooms would cut costs. Disabled parking stalls are right in front, no need to pour new cement ramps. Such a big waste of money, the Library mailers, the cash from the Friends of the Libary could have been better spent. Is it the intent of this city Council to pass off decisions about the town that should have been made from the chamber? Lack of consistency when the center of town was voted on for change. GH, with a digitizing room all records could be electronically saved. The library could print most books and have money collected for the author and Library for the hard copy or the electronic copy. As and example, families could digitize pictures and have reunions in a virtual reality room showing their family's history. GH,,, 9:17 the point of the mailers has shown that people want to preserve the Library where it is. Friends of the Library, the Library Board and city council are all our neighbors and want to make the best decisions possible, thus money being spent on research and consultants. GH, it is refreshing to see this interest. For the last 2 months I've contacted several local papers with no interest shown for what SM is going to do with the Library. GH,, 9:08 good ideas like this are what can come out of community input. These points need to be brought forward to help with the preservation of what we have without changing the looks from the front. It is energizing to read suggestions backed up with sources. It portends a forward looking library and a community that wants to be involved. The best of past and future. This can be done in a way that unites a community. Kudos to all. Unite the community; transparency now. Why is the Library one of he biggest money wasters in Sierra Madre? There is a missed opportunity. The library survey card should have had a question that read: "Do you feel it is necessary for Sierra Madre to maintain a library?" 10:21 Required but not necessary. How about a self service check out kiosk? One less over-paid, over-worked staff. Cut the CalPers body count. All it takes is one dedicated person, who can create an army of foot soldiers. Possibly the Friends of the Library can enlist the Library's current board members to become "foot soldiers" along with all the "I love my Library" yard sign patrons. The basement "full of rats" could be cleaned out and become the community room. I’m watching the Council meeting. The Dirts , who are out in full force, and some Council Members are working hard to reverse the survey. They obviously aren’t happy with the survey results. Disgusting! So the Dirts don't like the outcome of the survey that I am sure they thought was going to go their way. Oh baby! Wanna do over? Was Mr Robert Stockey at the podium? Again? No sight of Stockley, he hides in the background , then sends the Library Board Members to the podium to be his mouthpiece . Also Council Member John Capoccia, former Library Board Member , in my opinion, is another spokesperson for Stockley. One giant mistake to shove the greater part of the city services to the Arcadia side of town. They have a library. In the center of their population. This would put the library as far away from the population of Sierra Madre as possible. Even those to the north would have to drive over via Arcadia to get to the library at the YAC area. Yes, and remember the parking is very congested at the pool parking area. The plan is to steal park land in front of the Community Nursery School and make it added parking area.